The month of August flew by way too fast with lots of exciting things that took place! Before we take a look at what was completed for customers and inventory, remember to get yourself on the First Dibs Email list to be notified on available pieces that come into the shop! Click over to Shop Selections to view what is available for purchase! August tenth I had opened up our Etsy Shop! (You can read all about that story over at the post: Etsy .) I am so excited to share with you that I received my first customer! I have pieces all over the state of Arizona and pieces that moved with their owners to Texas, New Mexico, Oklahoma and Florida (that I know of). I got a message from a gal on Etsy about wanting to purchase the French Provincial Dresser and she lived in California! After doing some research on shipping I was becoming a little reluctant about what I was doing with Second Chance Charms. Nationwide shipping is expensive! But that didn’t stop this grandma from wanting this gorgeous piece! She and her husband drove almost 5 hours to come and pick this gal up! Making this special piece my very FIRST furniture piece purchased from out of state! How exciting!! Back to reality: I need to research this shipping thing way more for my clients that do live far away and can not make a road trip out of a day! Until then, I’ll enjoy my happy dance a bit longer! A little flashback from August 2016. A year ago was an experience to which I will never forget! I was being featured in Phoenix Magazine for the September issue under Statement Pieces in the At Home selection. You can read my story here: Featured in Phoenix Magazine. I was sick with delight all of the month of August until the issue came out a few days before September. Sharing that achievement with my clients, friends and family was such an awesome experience, one that I will never forget! As always, I thank each and everyone of you for your continued support in Second Chance Charms! School studies have officially come to an end and summer is just beginning! I know I am NOT alone when I say “Thank Goodness May is over!” May happened to be one of the busier months for my family this year. We had birthdays, out of town family visiting, graduations, faith ceremonies and an emtional goodbye to part of our family moving out of state. I am glad May is over. 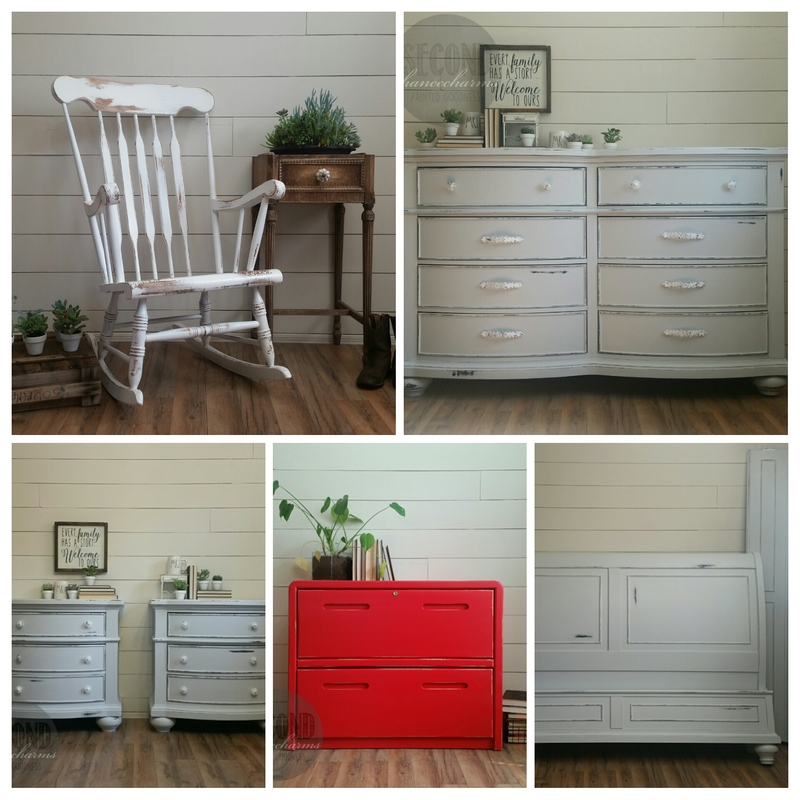 Lets take a look at what has been completed this month as one of my smallest group of refinished furniture by far, but all gorgeous none-the-less. This month I wrote a blog post about Secrets, Tips & Tricks on a master bedroom overhaul that was completed. 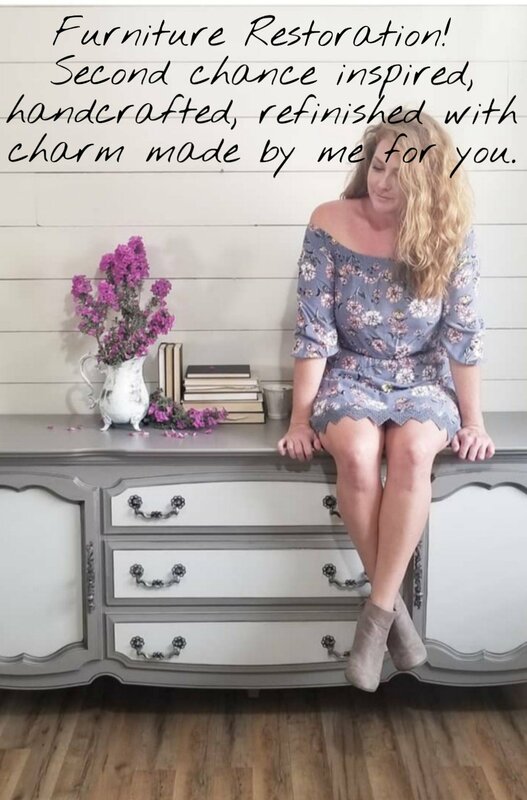 I shared with you products that I use and the process on how I do my furniture so that you can try it on your pieces at home. As always, if you rather have me do all the work (which I most certainly don’t mind) please email, text or call me for a quote! Remember to get yourself on the First Dibs Email to be notified first on available pieces. 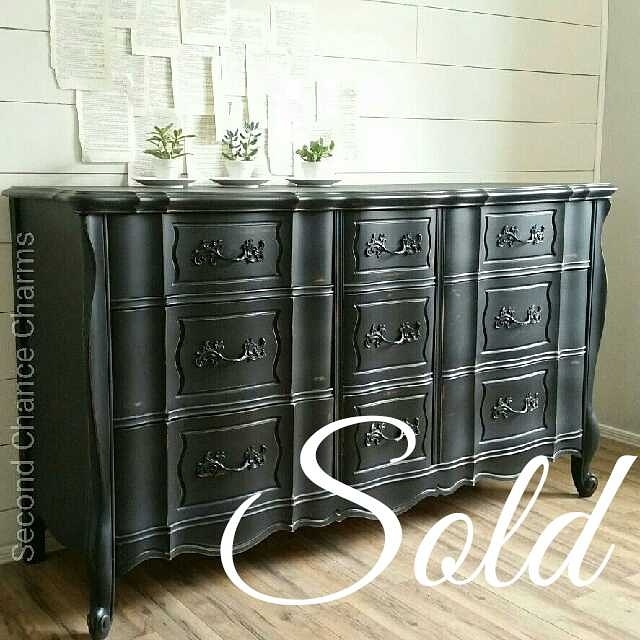 This month I received many customer photos of Second Chance pieces staged in their homes and I am completely swooning over them! Some pieces you may recognize, one that was my first piece of January of this year and another from December 2015! The 2016-2017 school year has ended and I am enthusiastic to finally share with you something that I started back in November of last year. If you recall my New Years resolution for 2017 was Inspiration; you can read about it on the 2016 Portfolio post. We are days away from ending the first quarter of school and my first grader, Donovan, loads in the truck at Drive Line with an expression that literally looked like a light bulb went off in his head holding a sheet of paper in his hand. What I wonderful idea my son had to host an after school Art Club for his peers! As the year was coming to an end I was Soul Searching what it was I wanted to work on for myself in 2017. Donovan inspired me to get out of my comfort zone. I am NOT a teacher by any means. I was nervous, sick and excited all at the same time about sharing my passion with children. Lets be honest children can be VERY candid. I was frightened. I kept reminding myself that talking in front of a group of adolescence might be less nerve-racking than lets say a group of adults. Public speaking is not my forte. My first art club started off with 22 children ranging from Kinder to 6th grade. By the end of the school year we had a total of 48 kids split into 3 different age group classes. By the end of each class, and as each child focused on their projects, you could faintly hear a steady humming sound coming from each of them. An Artist ‘In The Zone’ moment. We did many creative art projects. As I would bring my samples into class to share with them what we would be working on, I became enriched with their ooh’s and aah’s. I encouraged the “Can I make mine different than yours?”. Never ONCE did any of my artist undermine another artist for his or her project. Those tiny artist taught me so much this school year. Yay for February in the books! Lets take a quick look at what was completed, 13 pieces and 5 decor items added to my portfolio! Staying true to my 2017 promise for my clientele, I provided 2 inventory pieces and posted them up for sale in Shop Selections. I have plenty of pieces that are up for customization In the Studio and if not grabbed I will continue to refinish them the way I see fit! I am continually finding new pieces and putting them up- so stay informed and check back daily! You don’t want to miss “that”piece! 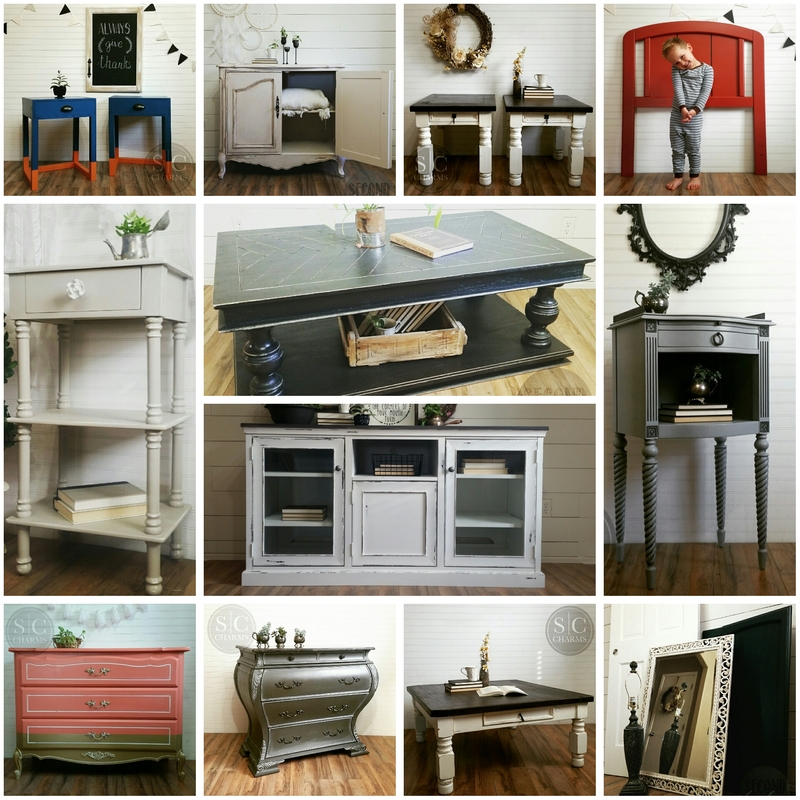 To stay informed on the newest already refinished ‘for sale’ pieces fill out the First Dibs Email to be notified! January was the start to a new year, like most people, I decided to make some personal goals. Second Chance Charms also has its own journey- Inspiration. The flower doesn’t dream of the bee, it blossoms and the bee comes. This month I was asked to become an approved seller for The Artisan Markets- Phoenix. I love finding inspiration from Instagram but to have re-finishers come together from Arizona is super exciting! The endless support and new friendships that I am making are wonderful! I’m looking forward to seeking more inspirational tools for myself, and to inspire others to light their flame that burns deep with in them. For now, when I am not painting, you will catch me spending my time with the ones that I love.